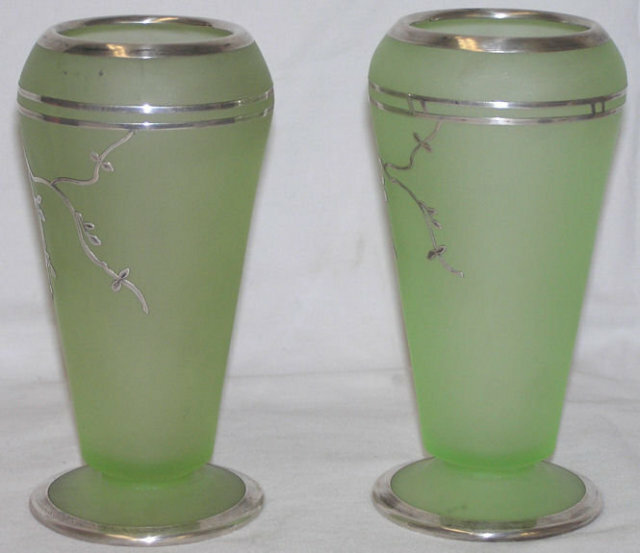 Included here are two matching Cupped Dahlia vases by Tiffin featuring silver overlay decoration by Rockwell. Each measures 6.5" high and 3.75" across. Silver decoration depicts a parrot flapping its wings. Each is in great condition, with no chips, cracks or repairs. 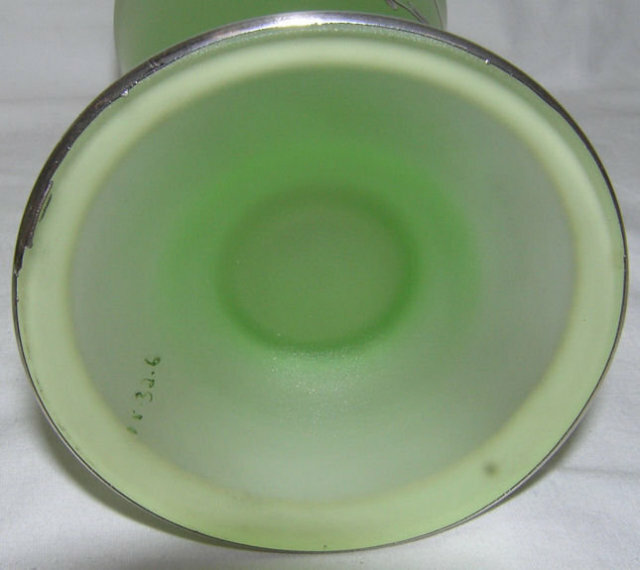 We have found no hallmarks on the silver. Undersides are marked " 15 . 32 . 6 ". 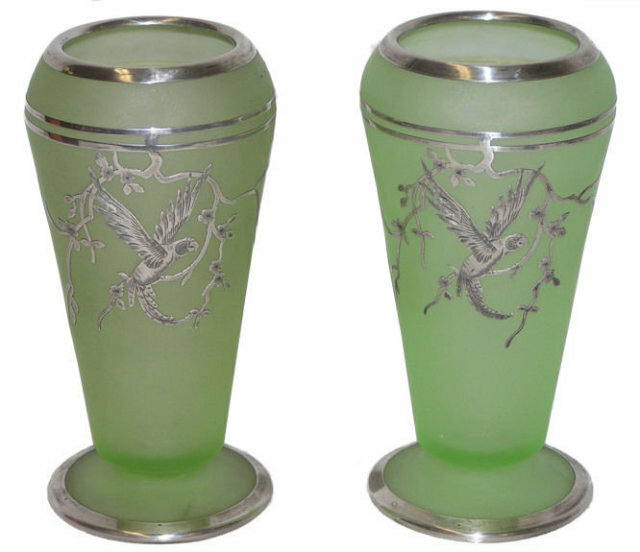 Items Similar To "Pair Tiffin Rockwell Silver Overlay Vases"
Antique / Vintage 1930's Art Deco Green Glass Vase with Silver Overlay Owl 9"